To begin with, I have to admit that I am pitifully pathetic when it comes to current events. I do read about current events, but I have been unable to follow what is going on with the Israeli-Palestine conflict. After reading this book, I think I have a much better idea. When I started The Wall, I did not know if it was going to be reality or fantasy. 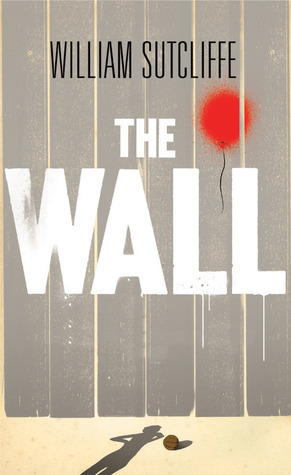 Since most of the books I read are fantasy, I thought the Wall was some kind of magical thing that set an elite race apart. Nope. As the book goes on, the author does explain a little bit (ahem, a very little bit) about why there is a Wall and why there is so much war. If you are looking for this book to explain it to you, you are going to be disappointed. The cool part about this book is that it is written from the eyes of a young boy. It takes some getting used to - he sometimes thinks in fits and starts. Like a young boy, he does not understand what is going on, or why, and he never really figures it out either. The author does a very good job though of using the eyes of a kid who just does what he knows, in his heart, is right. I would definitely recommend this book, and I found myself thinking multiple times that this would be a great teaching tool. However, I would hesitate to give it to middle schoolers and under. At times, the author does not give enough description to give a clear mental picture of what everything looks like as far as location goes, which is another reason it seems almost like fantasy at first. I think the high school set could learn a lot from this, but it absolutely would need discussion. This is not a book that I would read "just for fun". It has pretty serious themes. The ending is bittersweet and encouraging, but to gain anything from the story, kids(even high school kids) would need an adult to help them along. Two thumbs up. I really enjoyed the style of the writing and the topic. Good job!